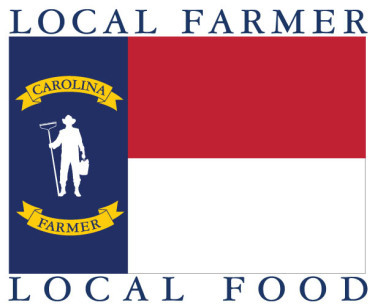 CHARLOTTE AREA FARMERS MARKETS ARE FRESH AND LOCAL | South Charlotte Newcomers! Charlotte area Farmer’s Markets are bursting with colorful, crisp produce! Local, organic, scrumptious and delicious are the tastes and sounds of a traditional Charlotte summer! The Farmers Market at the Village at Robinson, 8410 Rea Road, offers fresh vegetables and other local delectables under the white tents you can spot from Rea Road! Local crafters, bakers, beekeepers and farmers offer their homespun creations and natural foods every Wednesday from 12-6pm. Providence Produce Market is located on the corner of Providence and Ballantyne Commons Parkway. This small, easy in/easy out market is open Monday-Saturday 9-7pm and Sundays 10-7pm. Meeting Street Market is a Ballantyne area quietly growing farmers market located at Elon Park, 11425 Ardrey Kell Road. Fresh fruits, vegetables and eggs. Every Tuesday, 4-7pm. Piedmont Row Farmers Market in the Southpark area of Charlotte offers organic fruits that are all local; purchase knowing all produce comes within a 50-mile radius of Charlotte! Wednesdays 1-6pm. Pecan Grove Farmer’s Market on the corner of Providence and Hemby Roads is beautifully situated amongst the pecan trees it bears in its name! Azaleas and other flowering plants are scattered amongst locally grown fruits and vegetables. Most of the plants and luscious edibles are grown on a local, 30-acre farm in the Matthews/Weddington area. The Market is open daily. Matthews Community Farmers Market is located in the very heart of downtown Matthews. Just ten minutes from Charlotte, historically charming Matthews hosts one of the largest and most trusted farmers markets in the area. All produce and products are from local farmers including baked goods, dairy products vegetables, fruits, and plants. Wednesdays 10am-noon and Saturdays 7:15 am – noon. Waxhaw is another small town just minutes from Ballantyne. On Price and North Church Street in downtown the Waxhaw Farmers Market boasts fresh produce from local farmers and artisan vendors. Features Cook Farms in Monroe, Dabnar Farm-a local, sustainable farm and Ivey Place just to name a few. Open Saturdays 9am-1. Downtown Pineville Farmers Market offers local produce, flowers, herbs and artisan foods. Produce is seasonal and picked fresh. Stroll the privately owned stores and restaurants for some peaceful Saturday fun. Saturdays 10:00am-12:00. If your daily travels in Charlotte have you venturing outside of the beautiful Southside and its local small towns; then you are still in luck! Charlotte has terrific farmers markets throughout the Queen City! The Charlotte Regional Farmers Market is located at 1801 Yorkmont Road. Open Tuesdays through Saturday 8am-5 and Sundays 12pm-6. Fresh produce is just the beginning of your yummy adventure at this large farm stand! The market offers everything from grass fed beef to goat milk soap. Kings Drive Farmers Market is located just outside Uptown at the corner of South Kings Drive and Morehead Street. Offering fresh fruits, vegetables and local flowers. Open Tuesday 6am-6pm, Friday 6am-8pm and Saturday 7am-3pm. Elizabeth Avenue Farmers Market merged into the Plaza Midwood Farmers Market at 2007 Commonwealth Avenue. Fresh produce and vegetables are offered along with beef and pork from Big Oak Farm, eggs and Johnston Farm and honey from Bryan Fisher. Saturdays 10am-1. Charlotte is mouth- watering, fresh and beautiful! Bite into summer with a taste of the South!